The North Carolina Tarheels punched their ticket to the Final Four in Phoenix, Arizona, on Sunday, knocking off the Kentucky Wildcats 75-73 in the NCAA South Regional Final. UNC’s Luke Maye sealed the deal with a long jumper that swished through the net with only a third of a second remaining. The Tarheels will play Oregon, the No. 3 seed in the Midwest, on Saturday for a shot to play in the Finals on April 3. 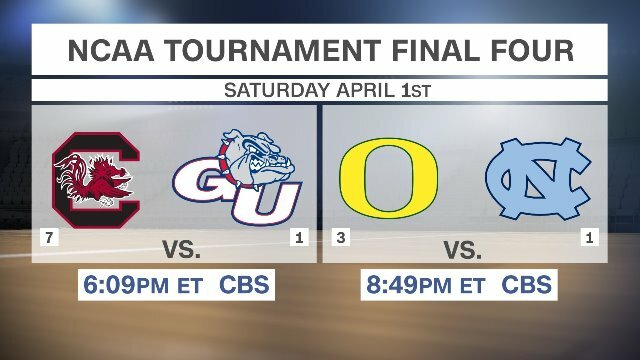 On the other side of the bracket, the Gonzaga Bulldogs will play the underdog South Carolina Gamecocks, the lowest seed — No. 7 in the East — to survive this far. The Bulldogs and Tarheels are both No. 1 seeds. Would you drink Shuzo Nagumo's foie gras vodka and blue cheese cognac?